Kia Lease Offers Shelby, N.C.
Due to our status as a Kia franchised dealership, Renaldo Kia can offer Kia lease specials that provide incredibly low monthly payments. Leasing is a great way to get the new Kia Optima, Forte, Soul or Rio you want and stay well within your monthly budget. Every month, we offer leasing specials on our complete selection of new Kia models. We even have a special leasing team with agents who are available to custom tailor a plan to fit your needs. If you would like to speak with one of our leasing agents about all the Kia lease programs currently available, contact us online or call the dealership at 704-997-9596. Kia lease programs are offered on a limited time basis, so the great lease deal that’s here today could be gone tomorrow. Don’t wait and let an amazing opportunity to drive a new Kia pass you by. 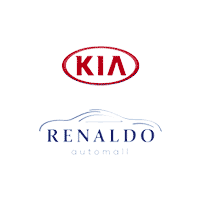 Come in to Renaldo Kia today located at 4425 East Dixon Blvd, Shelby, NC, 28152. Why Lease A New Kia? A lower monthly payment is just the start of the advantages you get when you lease a new Kia model from our Shelby, N.C. auto dealership. The lower payment saves you big money, but it also allows you to drive a higher grade vehicle than you might be able to afford if you buy it. Another perk of leasing a new Kia is that you don’t permanently own the vehicle. Many owners feel stuck in their current vehicle after 5-10 years and don’t want to have to go through the hassle of getting rid of their older car. With a lease, you drive the car for a limited term and when the lease is up, you turn in the vehicle and walk away. It’s just that simple. Leasing terms are also typically shorter than finance/purchase terms and that means you can upgrade to the newest Kia models quicker. There are other advantages to leasing versus traditional purchase arrangements that our team would be happy to discuss with you. Just call Renaldo Kia at 704-997-9596 and one of our leasing agents will give you the complete rundown! Shop our big selection of new Kia models online and then contact us to learn about all the great Kia lease deals that are currently available. You’ll be amazed at just how much money our Kia lease programs can save you. Remember that leasing programs are based on limited time factory incentives, so time is of the essence. See us today at Renaldo Kia located at 4425 East Dixon Blvd, Shelby, NC, 28152.